Literacy at Work is a professional development company that provides coaching and consulting for instructional coaches and those who are interested in coaching. We do this by building their capacity through eBooks, webinars, eCourses, coaching calls, and professional learning opportunities. Through our work, we strive to develop educational leaders into confident, passionate, and knowledgeable coaches who challenge the thinking of teachers, that change the lives of students. 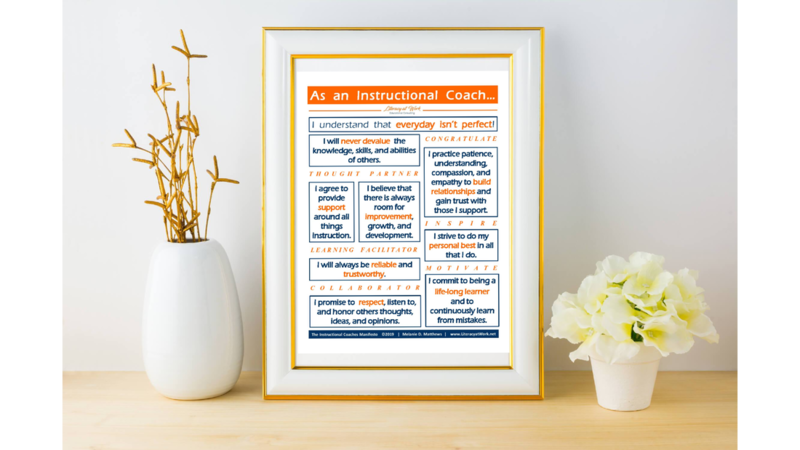 I created the Instructional Coaches Manifesto to focus on the qualities and features that make YOU a dynamic coach. May this serve as your daily reminder of who you are and what you do. Download, print & display your manifesto now!